I came across several Ysearch entries of potential member of the House of Osman descending patrilineally from Osman I, founder of the Ottoman Empire. Four haplotypes are identical and belong to haplogroup R1a1, all listing Ohran or Osman I as most distant known paternal ancestor. One of them was apparently tested by Naz Osmanoglu. All sultans of the Ottoman Empire share the same Y-chromosomal line, so all of them should belong to the same haplogroup, unless a non-paternity event happened at some point. Based on the above data, R1a would appear to be the haplogroup of the House of Osman. It is not surprising considering that the Turks originated in southern Siberia and Central Asia, where R1a has been an important lineage at least since the Bronze Age. Ultimately Turkic R1a is of Indo-European origin and should belong to the Z93 branch. Ysearch doesn't mention the subclade of R1a. A fourth entry (K425U) is listed as the lineage of Prince Mehmed Sabahaddin, and is only 4 markers away from the above haplotypes. This is a bit odd since Prince Sabahaddin was indeed the grandson of Sultan Abdülmecid I, but through his mother, not his father. I couldn't find any evidence that his paternal lineage was related to the House of Osman. However, another person (94A9M) with the last name 'Sultan' claims to be the haplotype of HIH Prince Sertan Saltan. The person listed as most distant known paternal ancestor on the direct male line is H.I.H. Prince Yusuf Izzettin (1857-1916). If that is the case, he is actually the son of Sultan Abdülaziz and therefore also a member of the Ottoman dynasty. The 94A9M entry only tested 12 markers, and looks like J2a1, probably J2a1b (M67). Such a haplogroup would also make sense since J2-M67 is particularly common in north-western Turkey (around Istanbul). It's still all hypothetical at the moment, but it could be the start of unveiling the haplogroup of one of history's most powerful and influential dynasties. Last edited by Maciamo; 04-04-14 at 10:50. I think after Sulaiman (?) the Magnificent the sultans were progressively more European as Sulainman married a Balkan slave and fell in love with her and she had control of the court. Every succeeding sultan followed this procedure with the Balkan wife in charge and being the mother of the future sultan. So one can see the sultan having divided loyalties. He would have concern for Balkans as he is half Balkan or more as his grand mother is also Balkan. 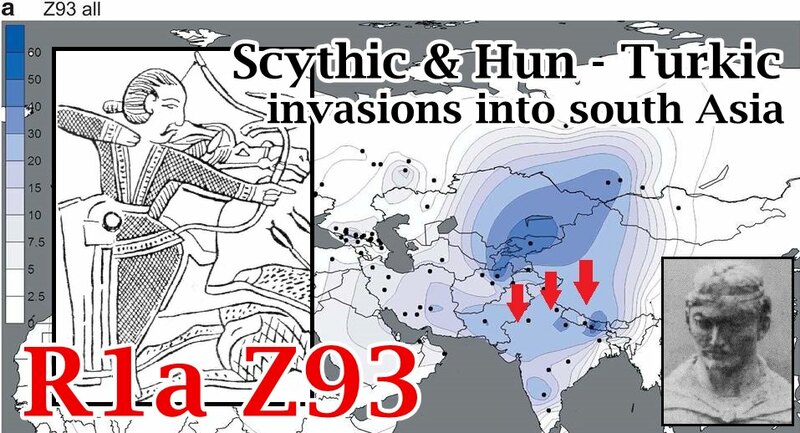 R1a-Z93 is also Central Asian Turkic tribal branch(Kyrgyz, Shor Tatars: Tatars, Kazakh), as Oghuz Turks are descended from Scythians, the Scythians were vassal of Gok-Turks, they were Turkic speakers. Shows Turkic tribes are descended from Aryans. Research about Andronovo culture, but we Turkish call it as "Turanians", not "Aryans" ... Turanians are limited with the Ural-Altaic speaker people of Central Asia, Europe and Far East. But Turkic genetic shows Turks are cognate with Aryan tribes. I also think Pashtuns in Afghanistan who're mainly R1a-Z93, are descended from Oghuz Turks who've founded the Ghaznavid empire. The "Indo-Europeans" left no genetic, archaeological, anthropological, cultural traces. Genetics is joining other disciplines in helping to clean the cobwebs of colonial historiography. 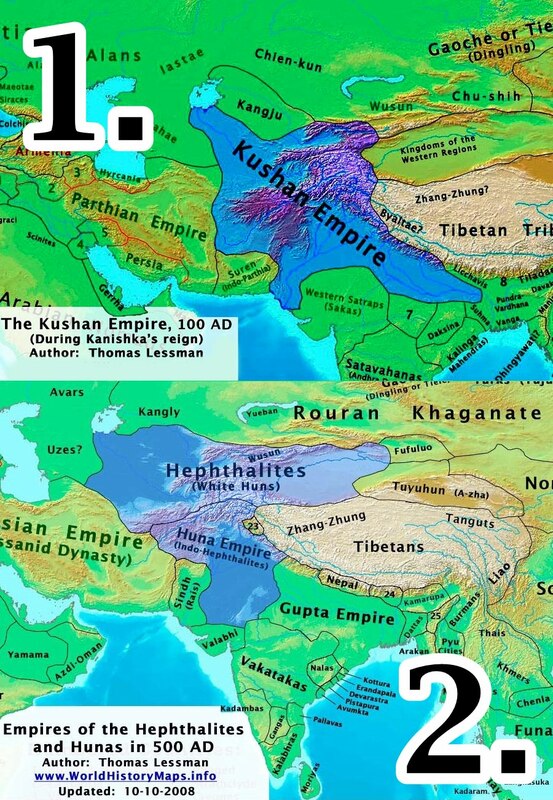 "So Hiungnu, Wusuns, Yüe-Tschi, Saka and other Turkic peoples came to Afghanistan and India where they founded empires, the most famous of which emerged among the Kushan kings in subjugated Sogdiana and Bactria. The ancient culture was taken up by the Turkish rulers, and in the first century AD, on the ruins of a short-lived Indo-Parthian rule, the empire of the mighty Kadphises arose. 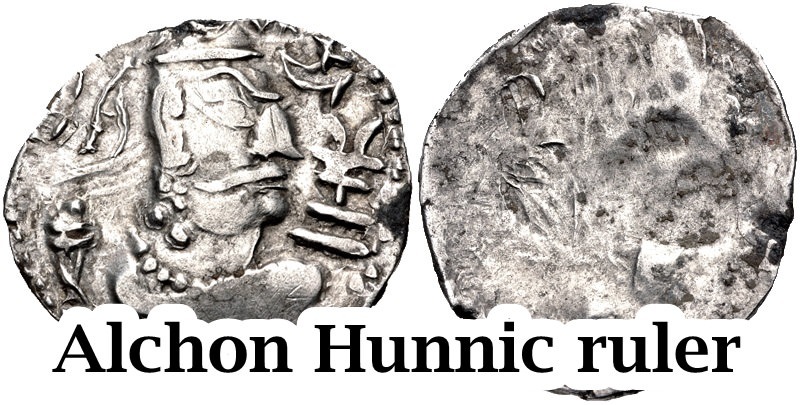 This ruler, whose expressive Turk-face is well-known to us from his Indian coins decorated with Greek inscriptions, extended his rule in the east to Benares." 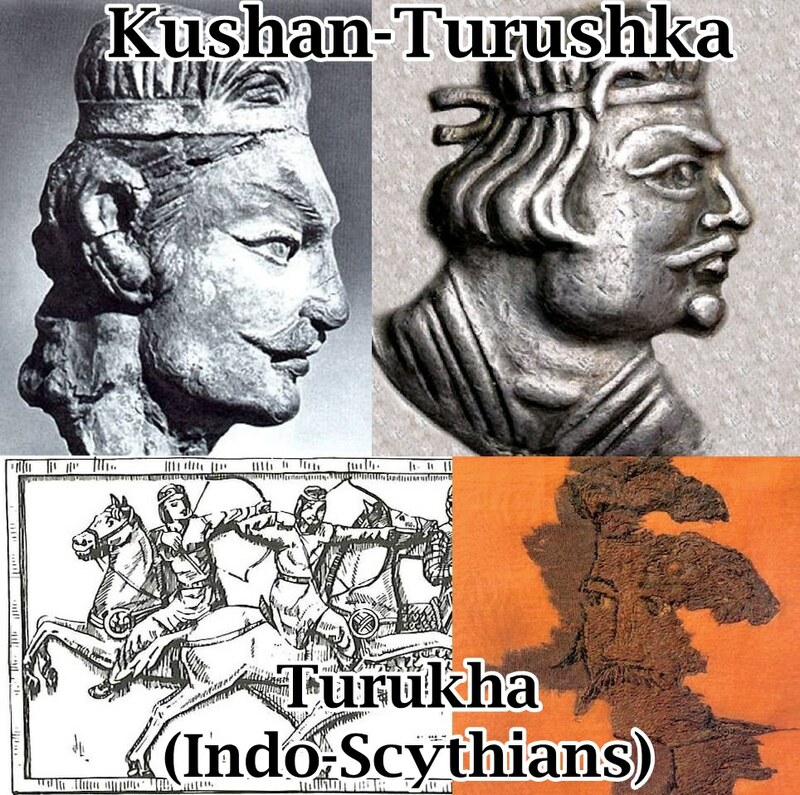 Yuezhi/Kushan = Turushka/Turukha or Indo-Scythians in Indian sources! "This does not mean that they were Iranian from the beginning... but only that the pace of assimilation for a tribe or a clan not at the height of the political hierarchy was swift after one century in Bactria.... The Hephthalites went Bactrian." Originally, "The Hephtalites might have been Oghuric, and certrainly came from the Altai" (p. 124). “Since we know from Chinese sources that the title tegin was already used by the Hephthalites, it is tempting to regard this as evidence of the Altaic affinities of the Hephthalites... but in Bactrian, names which appear to derive from tegin occur in texts which probably predate the Hephthalite period”. According to the Concise Encyclopeida Of World History, the Ephthalite establishment in Samarkand (in 410 AD) could be seen "as a marker for the start of the gradual Turkification of Transoxiana." Richard N. Frye, presuming that the Hephthalites were Iranian speaking people, but being more specific, equates that the Hephthalites were originally tribes of Turkic or Altaic speech and came from the Mongolian Altai region via Central Asia to the Indian subcontinent by virtue of pressure from the Rourans. There is a myth that Saka people had a so called "Khotan Saka" language in the Tarim basin, this is a confirmed Pathological lie. There is no link between Sakas and the Khotan language, like there is no connection between Tocharians and "Tocharian A/B/C". These are confirmed philological euphemisms. 43 Carlos Ramirez-Faria - Concise Encyclopeida Of World History - Ephthalites - Atlantic Publishers & Dist, 01.01.2007 - pg.199. Last edited by Alpakut; 13-02-18 at 03:48.